Mrs. Cindy Anderson earned a Bachelor's Degree in Education from Southwestern Oklahoma State University in Weatherford, OK. She completed her Master's Degree in Educational Leadership from Trevecca Nazarene University. 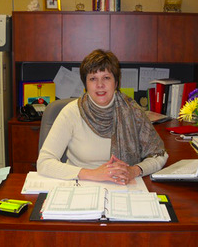 Ms. Anderson began her career as a teacher and coach in Oklahoma and Texas. She joined the RMS teaching faculty in 1988 teaching P.E./Health for twelve years and 7th Grade Social Studies for eleven years. She coached basketball, track, and cheerleading, and also served as the SCA advisor. 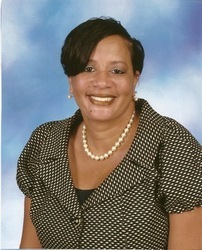 Ms. Anderson has served as the RMS Project LEAD site coordinator fo 9 years. She is a member of the Alpha Delta Kappa Honorary Teacher Fraternity. She is married to Earl Anderson and has 3 children and one grandchild. Mrs. Chantay Dupree received a Bachelor of Science Degree in Business Administration (Management) in August of 1990 from the University of Tennessee at Martin, Certification to teach 1st-8th grades in May 1999 from the University of Memphis, a Master of Education Degree (Educational Leadership) in August 2003 from Trevecca Nazarene University, and an Administrator License in August 2011. Mrs. Dupree taught 5th grade at Ripley Elementary School from 1999 to 2002. From 2002 to 2012 she served at Dyersburg Middle School as a teacher in the Success Maker Program (2 years) as well as a 7th grade Language Arts teacher (8 years). She has served as Assistant Principal at Ripley Middle since 2012 and LEAPs PM Site Coordinator since 2015. She is a member of Alpha Kappa Alpha Sorority, Inc. She is married to JC Dupree, Jr., has one child, and one grandchild.